Do you know what your strengths and weaknesses are? Are you good at long distance pieces or do you lose focus and consistency? Are you strong during 500m pieces but can’t maintain power for anything longer? Or perhaps your peak power needs improvement? 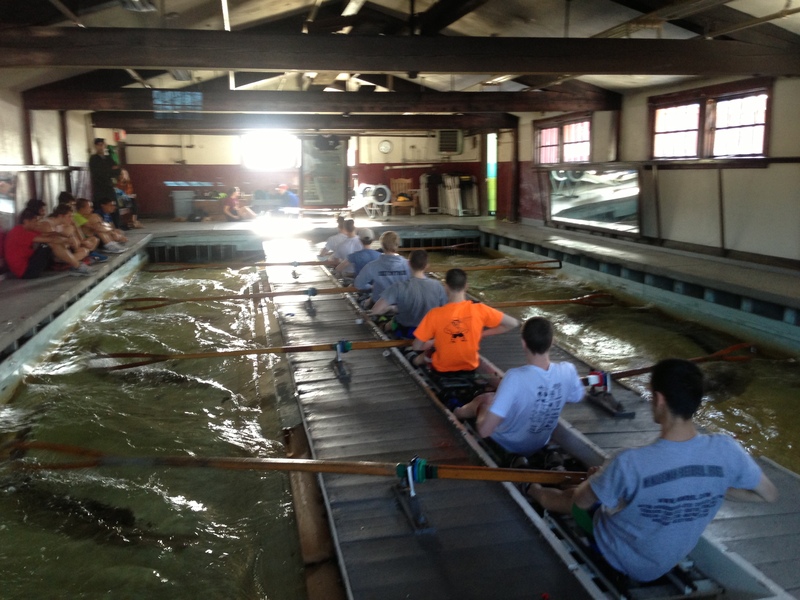 In Training and Rowing we are constantly trying to improve our skills and strengthen our goats. Take a look at your performances and accomplishments since the start of the year. What needs work or could use some improvement? Take that to heart and if you can only fit in a couple of Rowing WODs per week, focus on the ones that will strengthen those weaknesses. Today’s focus is developing the consistency and aerobic base to maintain pressure at race pace for longer pieces. During the Steady State portion try to pull the same 500m Split every stroke. Effort should be such that you can hold a conversation, but you are aware of your breathing. During the Pressure portion ensure the split drops as the stroke rating increases. It should be harder to get out full sentences during the one minute of Pressure. Post your Average Splits and what you plan to focus on in the coming weeks!